Apex Legends Battle Pass Price: How Much Does it Cost? Overwatch League All-Access Pass for Season 2 is on sale for fans. This time around, there are new perks for fans to enjoy, along with a much cheaper price than Season 1's pass. It’s time to gear up. #OWL2019 style. The Overwatch League Shop is NOW LIVE! 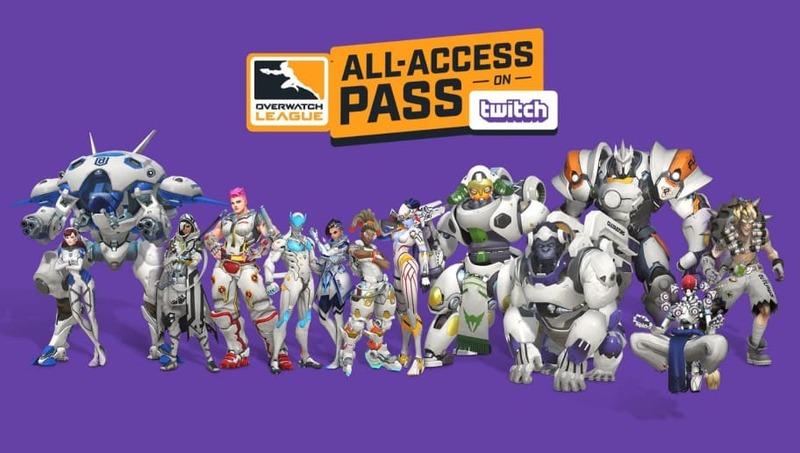 The ​Overwatch League All-Access Pass will return for Season 2, but there are many new changes for players in this year's iteration of the Twitch-exclusive pass. The pass is priced at $14.99, which is half of the Season 1 pass, and will grant players the ability to watch from the point of view of any player they choose during games. In the new Command Center, players will be able to choose which point of view they would like to watch, in addition to viewing games from the overhead map and more. Players will get 200 Overwatch League tokens for free with the pass, which will be enough to purchase two Overwatch League skins in-game. The purchase of a home skin will​ also unlock the away skin, and vice versa. There will also be a one-time 20 percent discount on Overwatch League merchandise. Fans will also get special emotes, an ad-free Overwatch League experience on Twitch, join a passholders-only chat, and more. Twitch Prime users with the pass will also receive 500 bonus Bits to use. Fans can purchase the pass through Twitch.